There's no doubt that search engine optimization is vital for online businesses. How can you expect to sell your products and services online if your customers can't find your website? While there are numerous layers to SEO practices, you don't have to drive yourself crazy learning every single detail and implementing every tactic. Good news is that there are several online services that can help minimize the effort you put into SEO while improving your website rankings on search engine results pages and amplifying your traffic. SEOProfiler provides a single platform to organize keyword research activities, link-building promotions, competitive intelligence research and more -- all of which can substantially improve a company's SEO campaigns. In addition, the program offers detailed, aesthetically pleasing reporting features that are useful for displaying data generated by this software suite. The program offers a free 30-day trial for users to explore its features. After the trial, monthly membership fees will be assessed, ranging from $29 for beginner-level accounts to $249 for professional SEO agencies. Optify.net offers a number of web data tools, but the two most useful for webmasters are the search engine optimization and social media optimization programs. The SEO program offers many of the same functions as SEOProfiler, but its link-building module suffers from one weakness in that it only tracks created links, instead of providing opportunities to uncover new potential back-linking partners. Optify.net's social media optimization suite, however, provides more features than SEOProfiler and most other SEO programs. You can monitor social media traffic in real time, as well as gather the data needed to increase conversions from these traffic sources and determine social media ROI. With more features comes a higher price tag. After a 30-day free trial option, monthly fees range from $250 to $500. While most SEO tools focus on traditional tasks to improve a website's showing in search results, small-business owners should also consider local SEO to target customers in their area. In addition to keyword research and back-link building, practitioners of local SEO also spend time connecting with followers on social media, optimizing local "place listing" websites including Google Places and Yelp, and monitoring customer review sites for feedback. But for many small-business owners, the demands of both traditional and local SEO can be overwhelming. That's why some people turn to services such as LocalVOX, which automate the process of local website optimization. LocalVOX offers users a number of local SEO services, including automatic social networking site updates, "daily deal" style services, and place listing management. But keep in mind the added services come at a price: Monthly charges range from $199 to $749, plus setup fees. Like Optify.net, Raven Tools offers both SEO and social media measurement programs. What's most notable is that it provides tools that can be of interest Google Adwords pay-per-click advertisers. Raven's "Google Adwords + Google Analytics" tool easily merges data from these two accounts, providing a simple way to determine PPC campaign effectiveness. After a 30-day free trial for its complete web advertising and analytics package, monthly rates jump to $99 for a personal account and $249 for larger, agency-oriented packages. 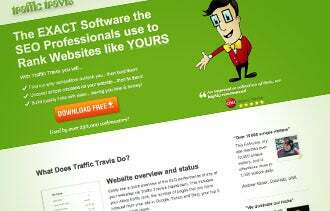 If the fees charged by SEO management companies fall outside your price range, take a look at the free version of the Traffic Travis software program. The free version contains many of the same features as the programs above, including optimization analysis, back-link prospecting and competitive research that "spies" on your competitors' PPC ads. While Traffic Travis can be attractive for some cash-strapped startups, the no-cost option has some limitations. It is missing some features provided by the other SEO tool suites listed above, and doesn't provide the same depth of data in terms of results reported within many of its market research features. Still, Traffic Travis can help beginning webmasters make progress on their sites before upgrading to a full-featured SEO tool.